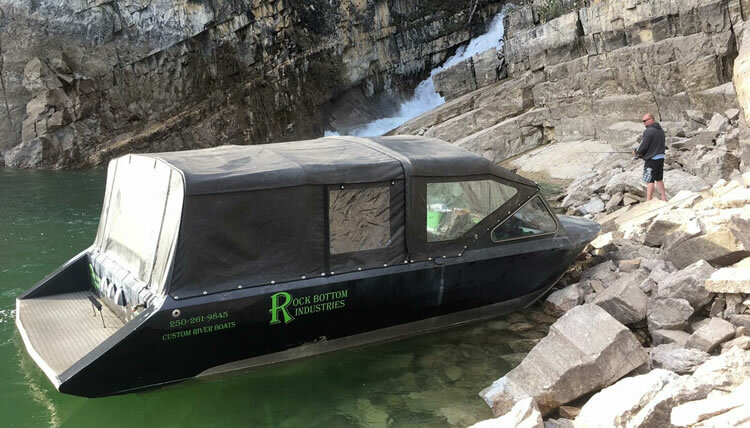 Rock Bottom Industries is a welded aluminum jet boat builder located in Fort Saint John, BC. The heart of Northern jet boating. Alf Loewen (owner) specializes in building heavy-duty jet boats intended for running the rocky shallow rivers in the North. 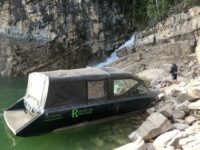 Whether you're a hunter heading up the rivers in the late season for Sheep, Moose or Elk, an outfitter transporting clients and gear, or someone who just wants a good, safe boat for the family, Rock Bottom boats are built tough enough to handle any rivers in our area and they meet Transport Canada’s small vessel regulations and safety requirements. Rock Bottom Industries also does boat repair and upgrades including repairing damaged welded aluminum hulls, installing UHMW bottoms, engine swaps, stomp grates, custom fabrication, stringer additions, hull reinforcement and they also work on boats that have been damaged and are going through insurance for repair.